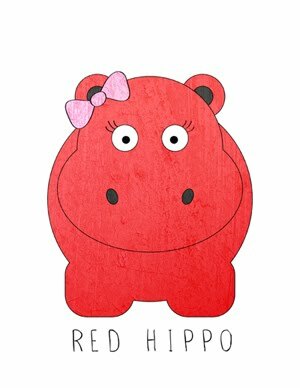 Red Hippo: easton's odd attachment. 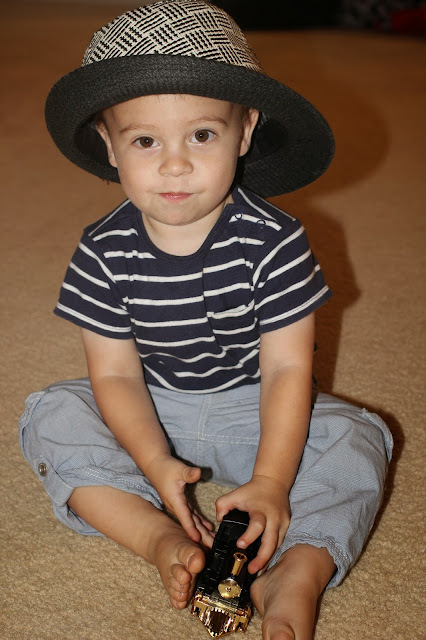 my toddler son is completely attached to hats (and has been since 11mo when he fell in love with his daddy's fedora). he can't walk into any house without finding and attaching himself to a hat. he can spot a hat anywhere; once he finds one and gets his little paws on it, he won't let it go. even when it's time to go. the tantrums are getting insane. last week his tantrum was so intense that i cried. i never cry over this little guy's behavior. it was a first for me. what am i going to do about this little situation? all i know how to do is to tell him (calmly) that we won't be taking the hat home. i tell him it's time to go. i tell him to say, "bye bye" to the hat, and we leave. sometimes there are less tears than other times. sometimes he very sweetly says, "bye bye, hat!" but other times...other times he just flips out. the biggest problem? it doesn't stop after the tantrum ends. there are some nights when he wakes up and asks for the very hat that he had to say goodbye to... at like, 3am. ugggh. is this just a phase? what do i do? *the bright side...at least he's fashionable.